The current conditions on this page mean to define and inform the Customer of all information related to orders, discounts, deliveries and payments of purchases made at BELAS-ARTES ULISBOA’s online shop — loja.belasartes.ulisboa.pt. a) register on the online shop, creating a Client account and providing their personal data, choose the wanted products and finalize the order through checkout. b) choose the wanted products and finalize the order through checkout as a guest — no prior registration needed — providing their personal data. 2. Indication of the Value Added Tax (VAT) is mandatory on any purchase made at the online shop. 3. The Faculdade de Belas-Artes da Universidade de Lisboa will honor the online orders received only within the limit of available stocks, pledging to inform the Client as soon as possible. 4. The data on the invoice is the Client’s sole responsibility, and once issued can not be changed. 5. Requests for orders are valid for 15 days. If its payment is not made within this period, the order can not be validated. Any received amount after this date will be returned by bank transfer. 1. In the online shop there are several promotions in the form of percentage discounts off of the public sale price. Discounts are indicated on our homepage when they apply to all products, or on the information page of a particular item when the discount only affects said item. 2. All promotions have a certain validity period. 3. 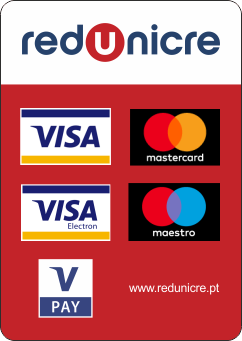 Unless otherwise noted, in case of deferred payments, such as ATM, the Faculdade de Belas-Artes da Universidade de Lisboa guarantees these discounts if the payment is received within a maximum period of 15 days, from the checkout completion date. 1. Shipping of orders is done daily, upon receipt. Depending on the destination and existing stocks, orders take between 1 to 10 days to be delivered. The payment amount of shipping to Azores and Madeira, as well as international shipping, are usually for orders up to 2kg. Above this weight the Client might receive an e-mail with the amount of the difference to be paid. 2. If you want to send your order to countries that are not available at the checkout list, you should contact our shop through e-mail at encomendas@belasartes.ulisboa.pt to request the amount to pay for shipping. 3. Pickup of orders may be done personally, by choosing the option “pickup at faculdade de belas-artes”, under the waiting time and schedules indicated there. The Client should always wait for an e-mail confirmation to pickup their order. 4. The Faculdade de Belas-Artes da Universidade de Lisboa will always strive to meet the estimated deadlines but, foreseeing difficulties in meeting deadlines, will inform the Client. 2. In case of payment by credit card, the debit will be made on the Client’s card immediately after the order’s registration. If any of the products ordered are sold out and if there is no stock replacement forecast, the Customer will be contacted so the value of said products is returned by bank transfer. 3. The Faculdade de Belas-Artes da Universidade de Lisboa will make all efforts to ensure maximum confidentiality and security in the data transmitted through the Internet. 4. After confirming the payment has been received, and within a maximum of 24 hours, an email will be sent confirming the order’s validation. The email will be sent to the email address indicated by the Client at the time of the order’s registration. 1. In case you intend to return items, you can head to Faculdade de Belas-Artes or contact us through e-mail at encomendas@belasartes.ulisboa.pt within 15 days of its delivery, being informed of the return process. Under no circumstances should you send the items without prior contact for they will not be handled. c) If the item is damaged or showing clear marks of usage, we can not accept the devolution. 3. If you opt for a refund, we inform that the reimbursement of orders is made by bank transfer only. 4. The Client can submit your complaints at the Faculdade de Belas-Artes da Universidade de Lisboa, Largo da Academia Nacional de Belas-Artes, 1249-058, Lisboa or through e-mail at encomendas@belasartes.ulisboa.pt, within 30 days after the order is sent. The Faculdade de Belas-Artes da Universidade de Lisboa does not take any responsibility for any inconveniences or damages caused to the Client by the use of the Internet network, such as service interruption, external intrusions or anomalies caused by computer viruses. 1. All content of the online shop is intellectual property of Faculdade de Belas-Artes da Universidade de Lisboa, and can not be copied or reproduced, except to the extent strictly necessary to allow its online reading. 2. The texts, images, illustrations, photographs, marks and other elements of the online shop are protected by law. 3. The Client who has a website on the Internet and wishes, for their personal use, to place a link that refers directly to the BELAS-ARTES ULISBOA online shop must request authorization fro the Faculdade de Belas-Artes da Universidade de Lisboa.